Do you like music? Do you want to listen to as much music as you can, online and offline, from albums you know and others you don't, legally, without ads, and for as little money as possible? Then boy have I got some awesome news for you! 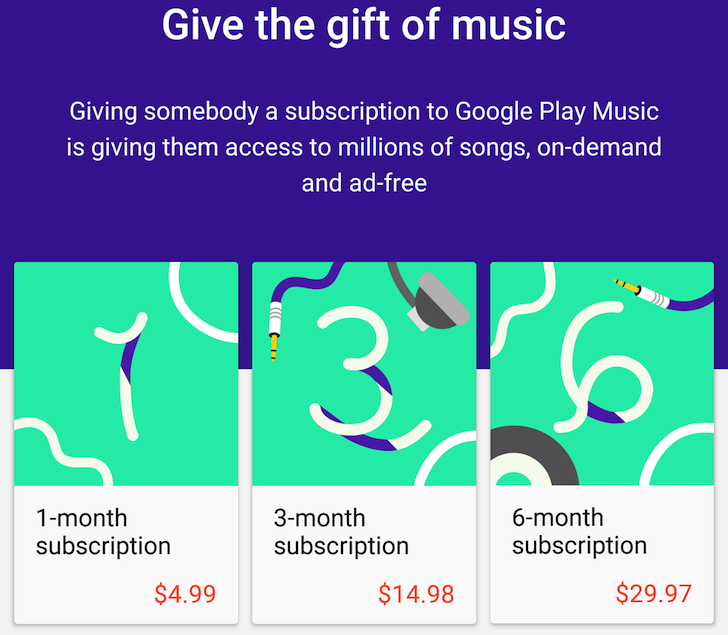 Google Play Music subscription gifts are discounted by 50% today and until February 15. All subscription tiers are discounted: 1 month $9.99 -> $4.99, 3 months $29.96 -> $14.98, 6 months $59.94 -> $$29.97. We know that the discount is valid in the US and the UK, but other countries should probably have it too.